To complete the circle and prevent one person from being randomly attributed to the work of others, you would tie your Google profile (see Google+) back to your site via the custom link section. While this worked for some it was seen by many as a thinly veiled attempt to pad social network stats, as it relied exclusively on a Google’s straggling social network. At this point Authorship is no longer supported by Google web search, and it has been thankfully replaced by an open standard defined over at schema.org. Enhanced Presentation in Google Search Results – Will includes additional data based on your site content. Answers from the Knowledge Graph - For authoritative content sources, Google will use your data as factual and import it into their Knowledge Graph. While Microdata and RDFa are perfectly valid formatting option, I prefer the idea of using JSON to express metadata to web crawlers, it just seems cleaner to me. As a regular blogger I have a vested interest in my content being displayed appropriately by search engines, thankfully Google’s Rich Snippets for articles\blogs uses the structured data also. Here is an example of a BlogPosting type, alternatively you could use NewsArticle. 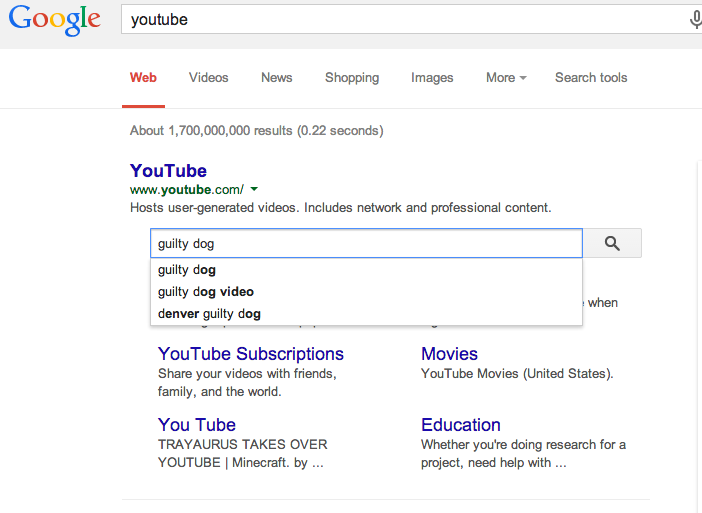 If you have already integrated Google search into your blog or website then you already have the mechanism for including a first class inline search, I have used this type of search often for things like YouTube (see image below). Once you have completed all your metadata updates I suggest checking out the this URL testing tool provided by Google to ensure the veracity of the inserted structured data. Optionally you can also check out the Structured Data Dashboard which is part of the Google's Webmaster Tools.